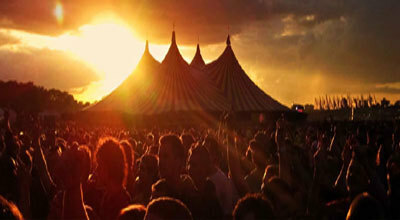 The biggest festival – Oxegen attracts up to 50,000 fans – features Calvin Harris, David Guetta, Snoop Dogg and Example among the acts headlining at Punchestown Racecourse between Friday 2 and Sunday 4 August. A three-day weekend camping package is available from €149.50. The more intimate Castle Palooza event is held the same weekend at 17th century Charleville Castle in County Offaly. Hidden away in the woods, the castle’s main stage hosts CSS, Ghostpoet, Awiwyfa and Luke Vibert among the acts. Charleville Castle is easy to reach by car, just outside Tullamore. Three-day Castle Palooza camping packages start at just €50. At the end of the month, celebrating its 10th birthday over the weekend of 30 August to 1 September, is the Electric Picnic in County Laois. Bjork, the Arctic Monkeys and Fatboy Slim are joined by Ellie Goulding, Noah & the Whale and Black Uhuru on the main stage in the grounds of elegant Stradbally Hall. Full weekend tickets are €229.50. All three venues are between 60 and 90 minutes’ drive of Irish Ferries’ home port in Dublin, with fast access via Ireland’s motorway network. Return ferry crossings for a car and four adults costs from £366 in August – that’s only £91.50 per person. Foot-passengers pay £60 per person return, with no charge for as much baggage – including a tent – as you can easily carry.